A spate of excellent movies about aging may reflect filmmakers’ dawning recognition of the way this global demographic shift affects all our lives. A reader discusses why living apart together works well for older people. The chief executive of AARP says his grandfather, a minister, taught him the importance of making life better for others. Research suggests that as a person ages, acting and other activities that require cognitive skills can improve these skills in other areas of life. A reader who rides a bike notes an added benefit from video games that may keep the brain sharper for older people: fresh air and exercise. A 77-year-old Colombian woman discovers the joy of learning to tell stories with a computer and an Internet connection. 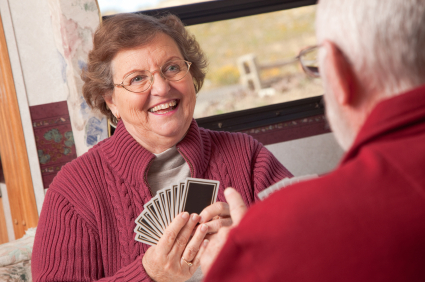 Older adults more often find happiness in everyday events, a new study finds. The American Geriatrics Society says medical evidence is scant for five common treatments in the elderly. Faith-based retirement communities that provide a continuum of services, from independent living to skilled nursing care, are attracting more residents as baby boomers retire. With medical statistics scarce, participants in hockey, long-distance running, boxing and even rodeo play till it hurts, and insist it helps keep them young. While the seniors rights movement remains relatively muted, intensifying fear about retirement security could spur elderly agitators into the streets. Residences near or on college campuses offer courses and culture for older adults. To stay engaged and add to their savings, retirees are transforming lifelong passions into new careers in the circus, on screen and around the world. A site from AARP will help older travelers plan and book trips. Valuing knowledge and experience, some employers are making extra efforts to encourage longtime workers to stay. The number of people aged 60 and over has doubled since 1980, and by the year 2050 there will be 395 million over-80s worldwide. A member of the “aging industrial complex” starts a campaign against ageism. About 850 senior move managers in the United States are helping older adults manage the psychological toll of finding a new home. A Google-backed biotech company plans to build a new Bay Area-based facility to research diseases that afflict the elderly, such as neurodegeneration and cancer. Advance planning for care at the end of life may finally be about to overcome politics, as insurers begin to pay for the discussions. Warren Sanderson, a professor of social and behavioral sciences at Stony Brook University, is working on ways to define aging other than the passing of years. “Everything is changing about 65-year-olds,” he said. We’re living longer than ever, but not always better. Why do studies suggest that the happiest age group is people ages 82 to 85? The summits no longer have the same pull; a beer and a brat on the 40-yard line are as enticing as looking down at cloud cover from Mount Rainier’s apex. Baby boomers are often choosing to live in places outside the usual retirement spots — or stay where they are and remodel their homes. Traveling for funerals and memorial services can become a major concern as people live longer and, in turn, watch close friends and family members die. People are now competing in their 70s, 80s and 90s, some of them in sports not associated with retirement. A list of apps that are helpful for retirees who like to plan in advance. The estate sale business is growing as the parents of baby boomers reach the end of their lives and the boomers themselves retire and downsize. In a new approach to the problem of falls among older people, an exercise physiologist at Wichita State has introduced cognitive drills into the exercise classes at a senior center. Dual-generation retirements are becoming more common because of longer life spans and children’s wrapping up their careers early. Research is catching up with the idea that, in some ways, people apparently grow smarter with age. Through the arts, education and other pursuits, more people are experiencing late-life rebirths that are rewarding creatively, emotionally and spiritually. Herbal supplements, brain-training games and puzzles are being tossed out as ways to fight cognitive decline, without much evidence that they work. Only when you hit 60 can you put yesterday’s worries behind you, the writer discovers. When my elderly father moved into our living room, I flew into action. When aging people discuss with their families how they wish to die, all are spared extra grief when the end comes. Mary Helen Abbott, 77, paints her lips bright pink, still smokes the occasional cigarette, keeps up on all the gossip at the retirement home and wears a short skirt to fitness class. Many retiress, not trying to earn degrees, participate in programs like the Osher Lifelong Learning Institutes, which are affiliated mostly with colleges and universities. Seniors are turning to ride-sharing services for the extra income and flexibility they provide, but there are concerns about possible exploitation. In “70Candles!,” older women explore the most important issues facing women as they age, and how society might help ease their way into the future. Many fitness-oriented older Americans, some who came to sports later in life, test themselves in local, state and national competitions like Senior Games. They may not capture the headlines at the Rio Olympics, but that isn’t stopping many older Americans from testing themselves in competitions.